With over 6,000 votes cast in the final round of Set Madness, our annual Set of the Year competition, we have a winner. Congratulations to KTVA-TV and Devlin Design Group! This year saw one of our toughest fields with more votes cast than ever before, with the final round coming down to a USA vs. Canada showdown. While both KTVA-TV and “Canada AM” had unique features and looks, KTVA-TV was able to pull out the victory. 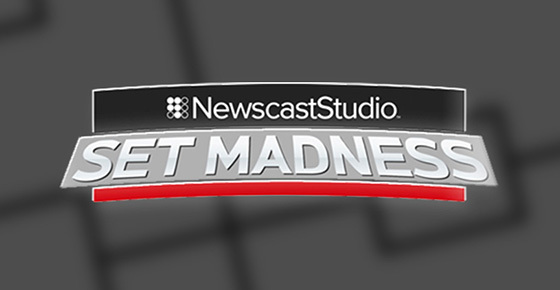 For the first time in three years a local station set has won the Set of the Year honor on NewscastStudio. The previous local station to win overall was WPBF-TV. 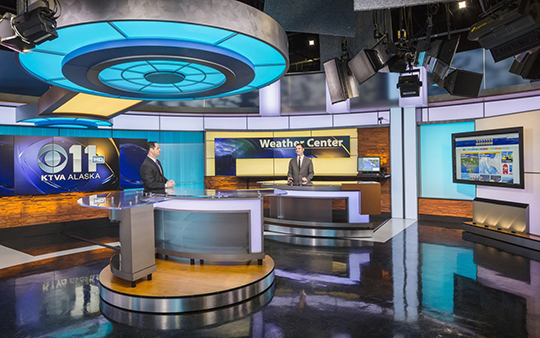 With over 3,000 square feet of studio space, KTVA-TV has multiple presentation points and nine HD cameras at its disposal. The CBS affiliate is owned by Denali Media Holdings and serves Anchorage, Alaska, DMA 146. “Canada AM” does not go home empty handed. 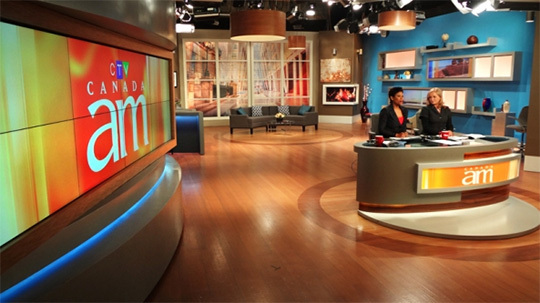 The morning show’s set design is still the top network set, making the design by AKA Creative, Inc. the Network Set of the Year. This year has already seen some great set designs, so next year’s competition will be the fiercest yet. Stay tuned for the revamped Set of the Year competition in early 2015.